that we do. anything that we can do to help in that process and emphasize the importance of the resources to support the work, please do let us know. 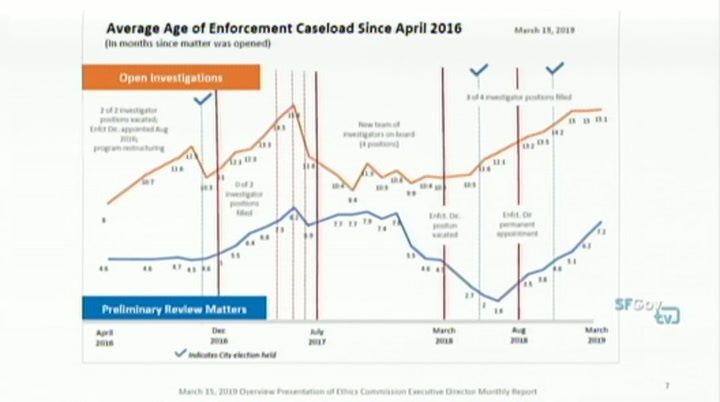 lastly, i think that these slides here with the information about elections and the resources that were provided, there's a clear correlation between lack of staff and an increase in time of investigation and preliminary reviews and number of cases. i think the slides do speak for themselves. i do appreciate the work that went into this. it's very clear and it's helpful. 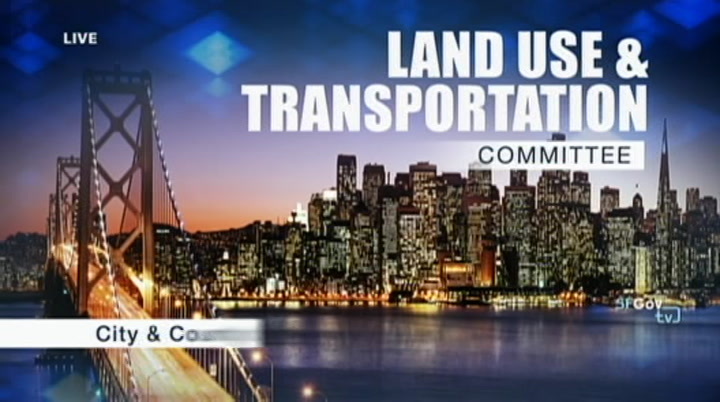 any public comment on this agenda item? >> good afternoon. 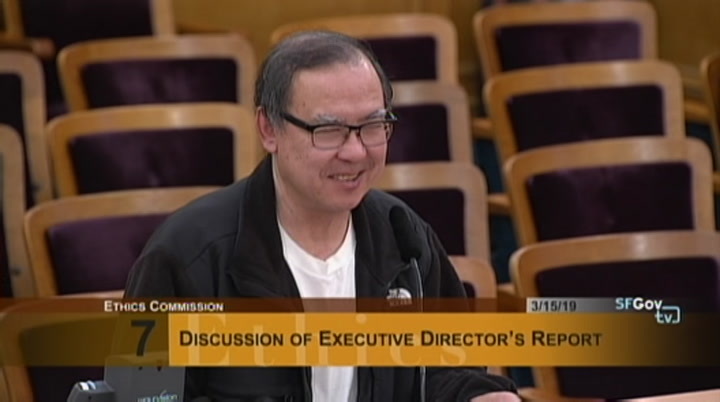 i like to thank the executive director for this report. it was a lot better than the previous ones from the previous executive director. it's kind of interesting in that the discussion of the enforcement charts, i would love to see what those same identify charts would show before 2016 from the beginning until when this chart took effect. i would dearly love to see it charted out identically same way with the same criteria. i would guess that the data would be good for a laugh on saturday night live. 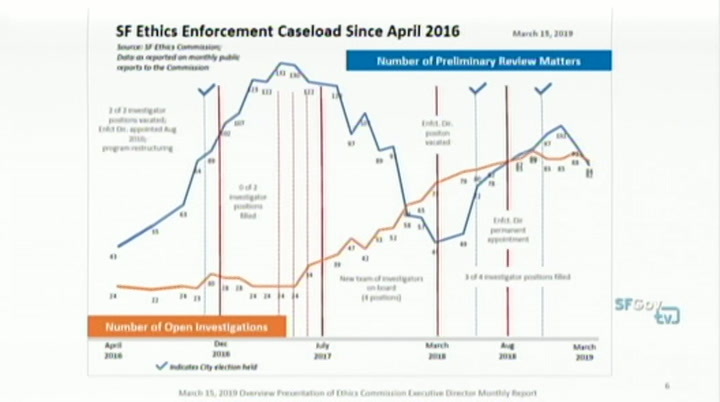 realistically on scenario four that's in this report, if mayor's office tries anything to slow down the process of the ethics commission, i would like to suggest that mayor's office will fail. 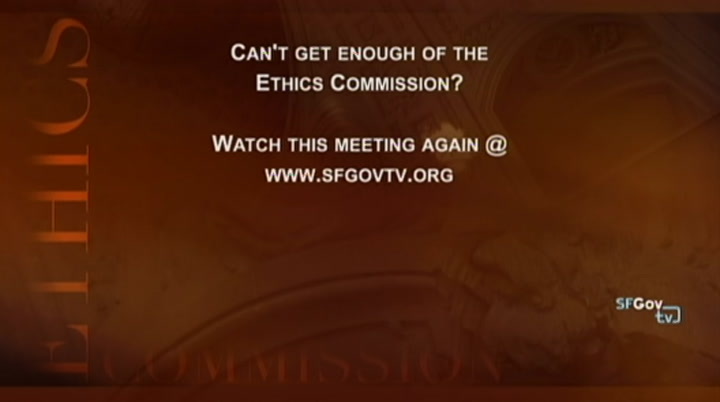 if they want to slow down the ethics commission, they will fail. i'll leave it at that. since three people, three so called influential people are no longer here, that says something about the local process. controversial. i think we need to make it a matter of record for this way in the future, when discussion comes up, it will be no statemented that we didn't know that it was coming up or we didn't have any idea that it would come up. number one, in the future, for everyone's benefit, we need to discuss the previous administration of the ethics commission. everybody knows who we're talking about. two people in particular. you need to look into it whether you want to do it or has someone else do it. you need to do it in order to erase any doubt as to your future effectiveness. most people would not want to make the following suggestion but i tend not to shy away from it because i consider it a citizen's duty to bring it up for the record. 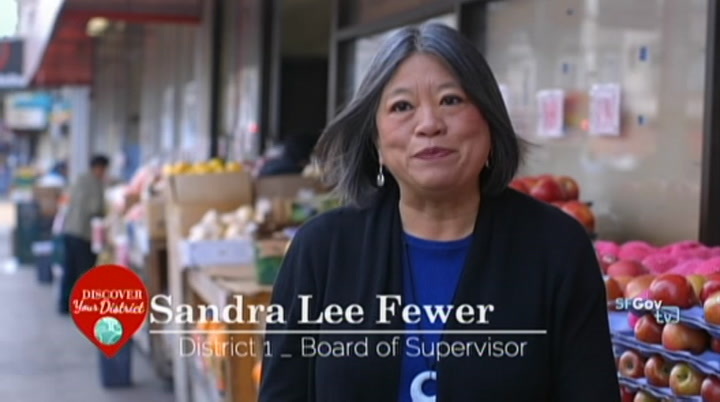 i would like to know the achievements or lack of achievements of ed lee as it regards to his work on the whistleblower program. i would like to see a chart that shows all the favorable achievements and i would like a statement as to what wasn't done. 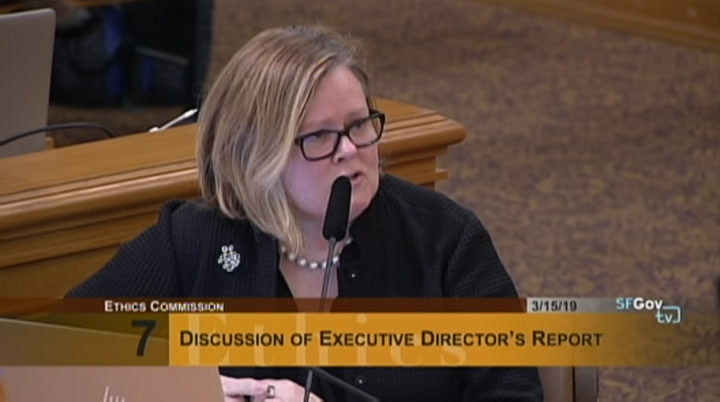 let's put it this way, we all know that the commission has indirect influences and for the record, i think it's important to say that you need to move on. appearing on the agenda. motion to adjourn? so moved. all right. 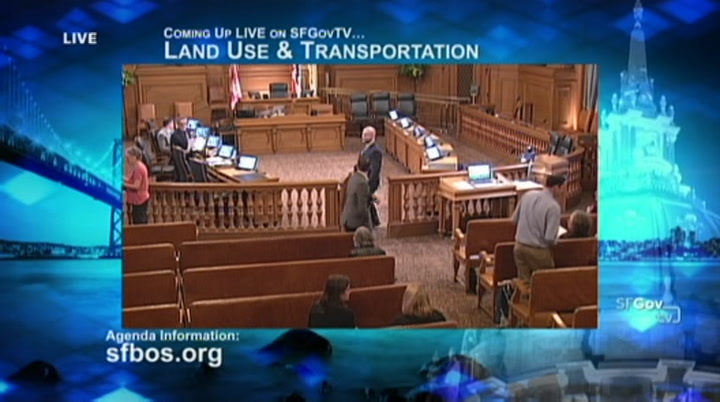 we're adjourned. chinatown for dim sum and i remember one day he came home and said, there is one here now. it just started to grow very organically. 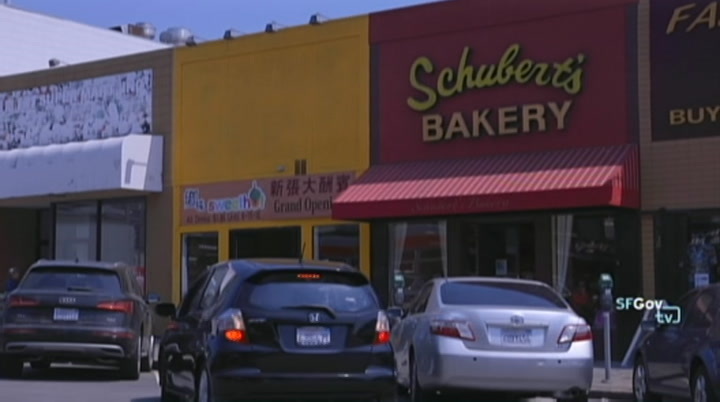 it is the same thing with the russian population, which is another very large ethnic group in the richmond district. as russia started to move in, we saw more russian stores. so parts of the richmond is very concentrated with the russian community and immigrant russian community, and also a chinese immigrant community. 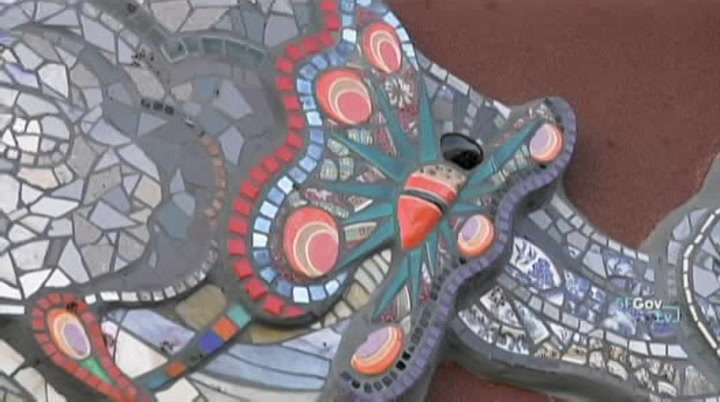 [♪] >> i think as living here in the richmond, we really appreciate the fact that we are surrounded three natural barriers. they are beautiful barriers. the presidio which gives us so many trails to walk through, ocean beach, for families to just go to the beach and be in the pacific ocean. we also also have a national park service. we boarded the golden gate national recreation area so there is a lot of activity to do in the summer time you see people with bonfires. but really families enjoying the beach and the pacific ocean during the rest of the time of year. 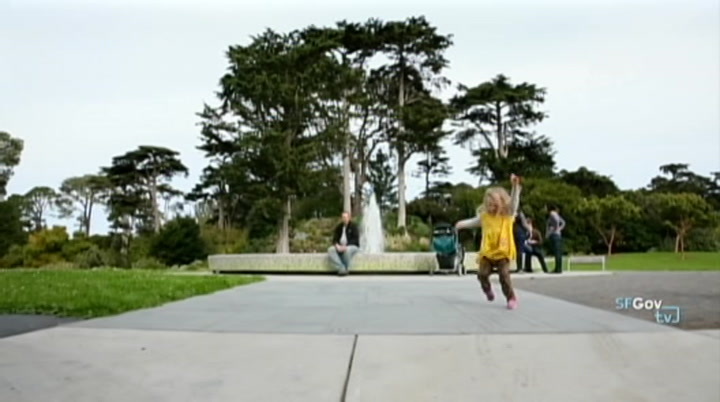 [♪] >> and golden gate park where we have so many of our treasures here. 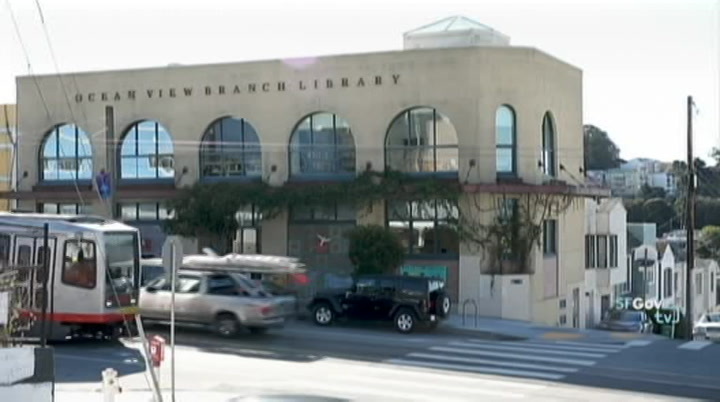 we have the tea garden, the museum and the academy of sciences. 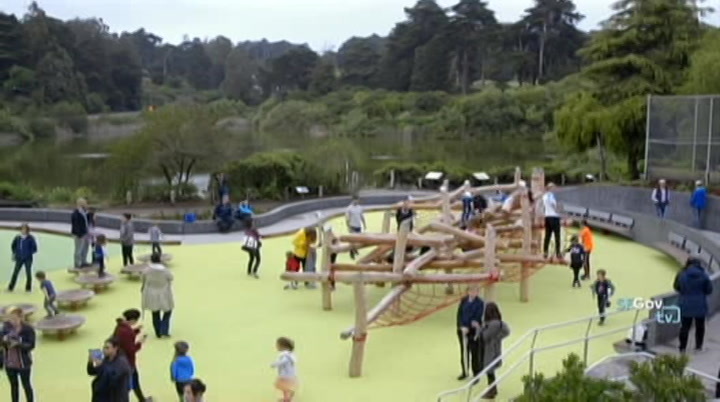 not to mention the wonderful playgrounds that we have here in richmond. this is why i say the richmond is a great place for families. the theatre is a treasure in our neighborhood. it has been around for a very long time. is one of our two neighborhood theatres that we have here. i moved here when i was 1959 when i was two years old. we would always go here. i love these neighborhood theatres. unique then of the -- any other part of san francisco. there is traditional irish music which you don't get hardly anywhere in san francisco. some places have this long legacy of serving ice cream and being a hangout for families to have a sunday afternoon ice cream. and then also, we see grocery stores. and also these restaurants that are just new here, but also thriving. 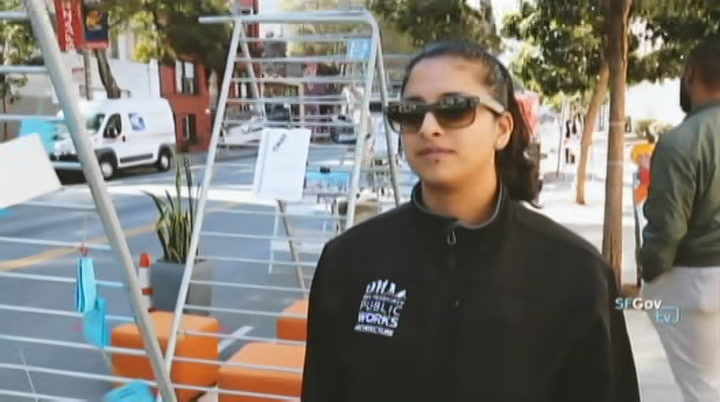 [♪] >> we are seeing restaurants being switched over by hand, new owners, but what we are seeing is a vibrancy of clement street still being recaptured within new businesses that are coming in. that is a really great thing to see. 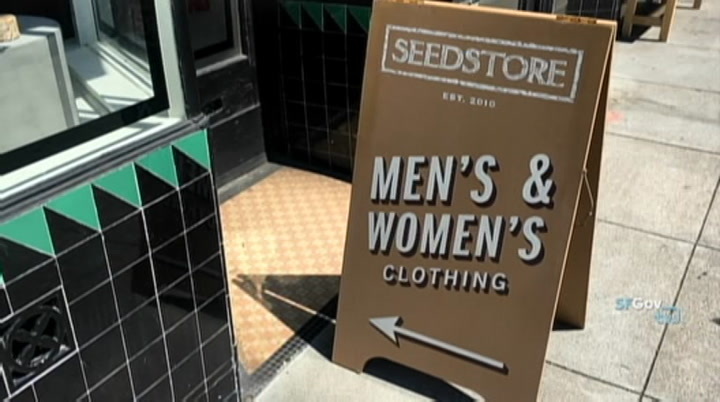 i don't know when i started to shop here, but it was probably a very, very long time ago. i like to cook a lot but i like to cook chinese food. 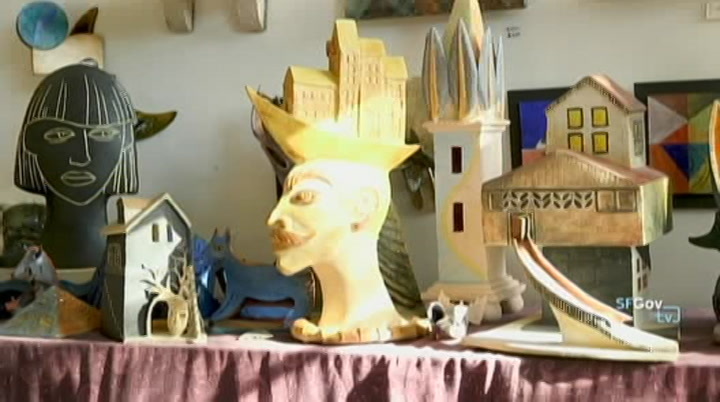 the market is the place i like to come to once a year. once i like about the market as it is very affordable. really likes for me to make. also, from my traditional chinese food, i love to make a kale soup. they cut it to the size they really want. i am probably here once a week. 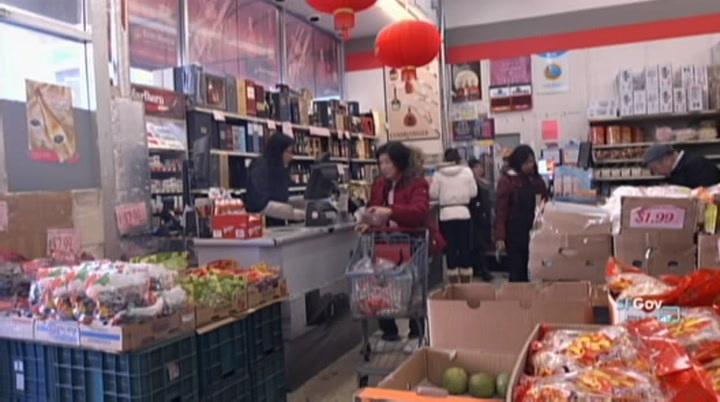 i'm very familiar with the aisles and they know everyone who is a cashier -- cashier here i know when people come into a market such as this, it looks like an asian supermarkets, which it is and sometimes it can be intimidating. 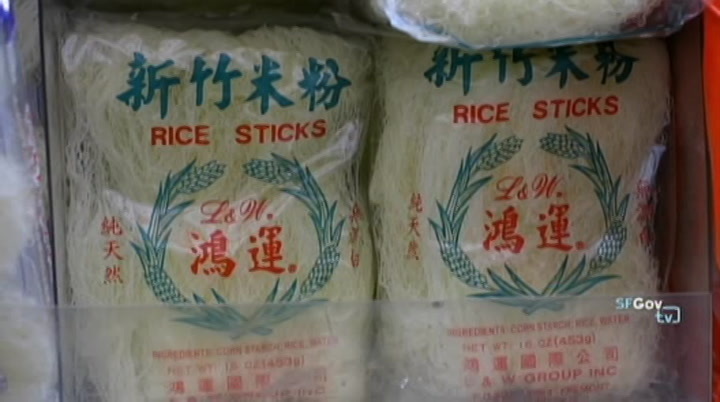 we don't speak the language and many of the labels are in chinese, you may not know what to buy or if it is the proper ingredients for the recipe are trying to make. i do see a lot of people here with a recipe card or sometimes with a magazine and they are looking for specific items. the staff here is very helpful. i speak very little chinese here myself. thinks that i'm not sure about, i asked the clerk his and i say is this what i need? is this what i should be making? and they actually really helped me. that, we were not sure if it would visually work. so we just took paper that size and drew what our idea was, and cut it into strips, and took it down there and taped it to the steps, and stepped back and looked around, and walked up and down and figured out how it would really work visually. [♪] >> my theme was chinese heights because i find them very beautiful. and also because mosaic is such a heavy, dens, static medium, and i always like to try and incorporate movement into its, and i work with the theme of water a lot, with wind, with clouds, just because i like movements and lightness, so i liked the contrast of making kites out of very heavy, hard material. so one side is a dragon kite, and then there are several different kites in the sky with the clouds, and a little girl below flying it. 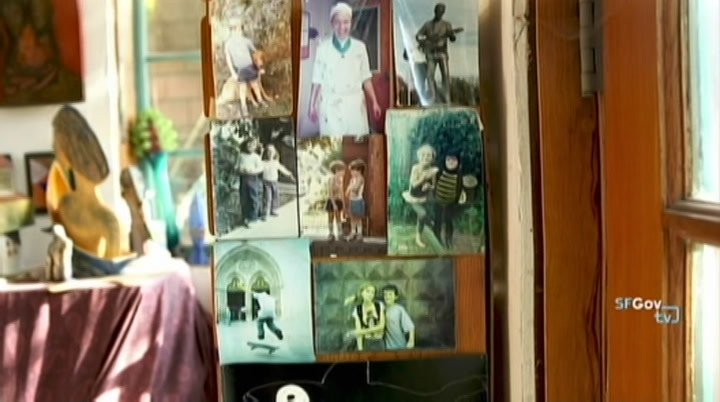 [♪] >> there are pieces that are particularly meaningful to me. during the time that we were working on it, my son was a disaffected, unhappy high school student. there was a day where i was on the way to take them to school, and he was looking glum, as usual, and so halfway to school, i turned around and said, how about if i tell the school you are sick and you come make tiles with us, so there is a tile that he made to. it is a little bird. 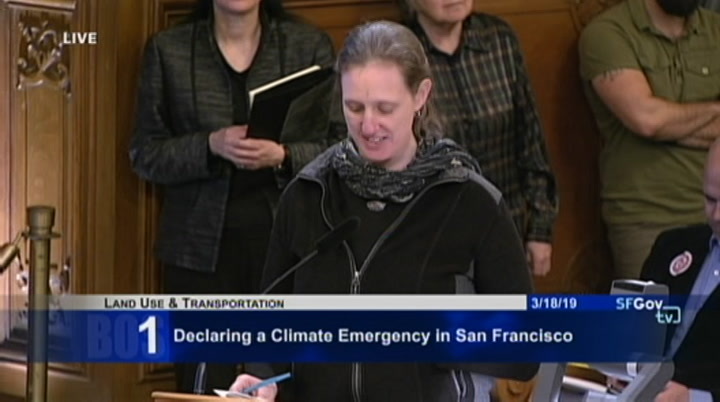 my thanks to the advocates who worked to bring this resolution forward. and i want to thank the group that's have been a part of the process, and i also want to express my gratitude to our friends in the labor community, including jobs for the justice, seiu 1021 and others. 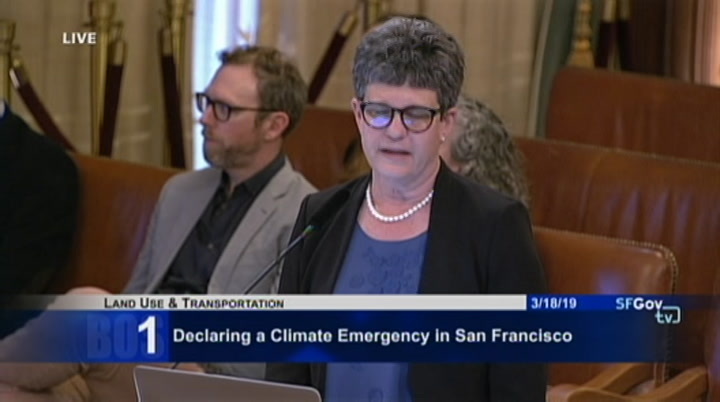 san francisco has long been a leader on environmental issues and we should all be grateful for the tremendously talented staff in our department of the environment. 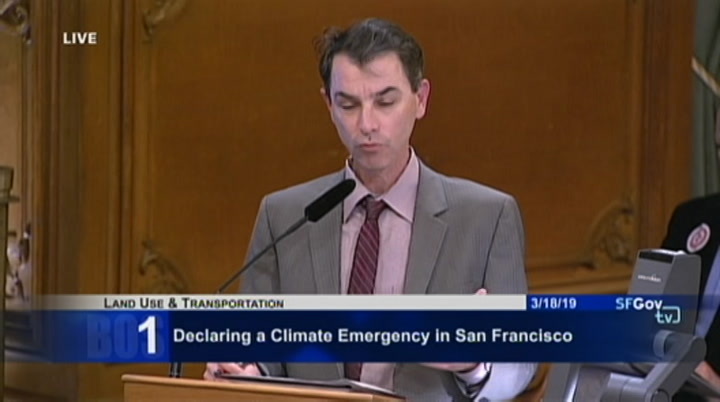 this resolution seeks to build on and amplify their efforts and i want to thank them for moving it forward as well as the various departments and city staff that we will be working with. flooding, we had the worst air quality we ever had. we were being compared to beijing. 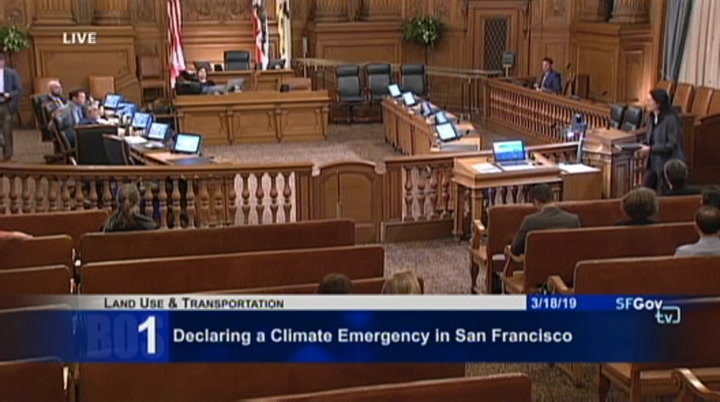 in fact people were pressing to be be -- preferring to be in beijing than san francisco during the fire. why we got here and how we got here is not a mystery. 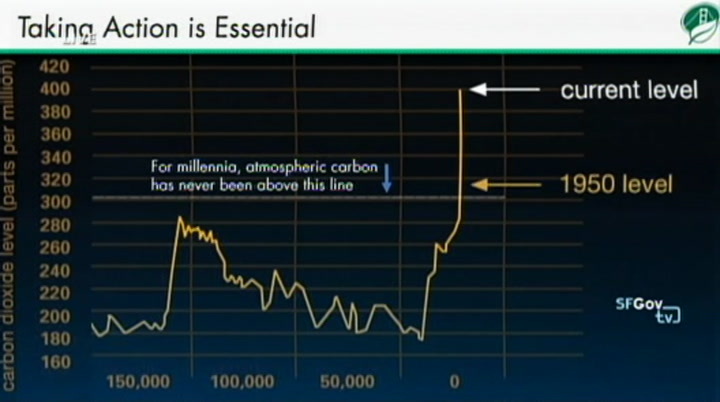 the science is clear when you look past hundreds of thousands of year, you see that something is very dramatically different in 2019. and that is our carbon die objection it oxi drk-dioxide levels. 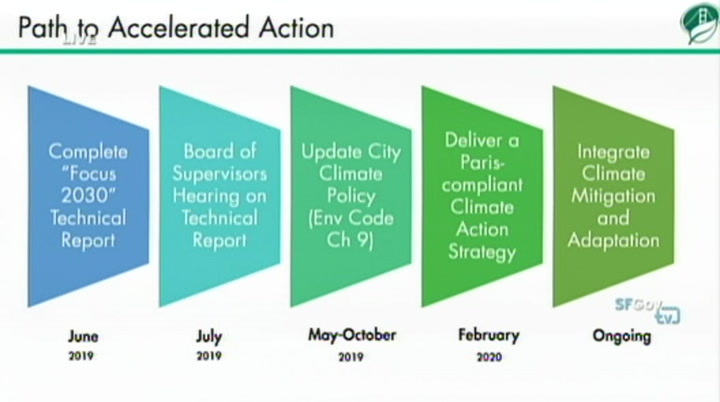 mayor breed declared that we need to get our emissions down to net zero levels by 2050. we've set some deadlines, 1990 levels. 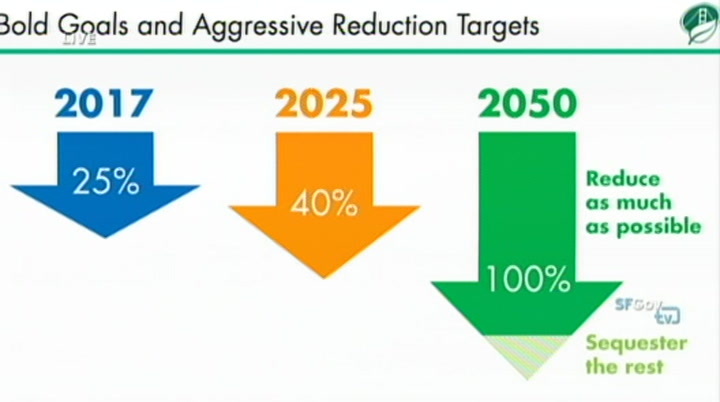 in 2025, we need to be 40% below, and by 2025, we be net zero. 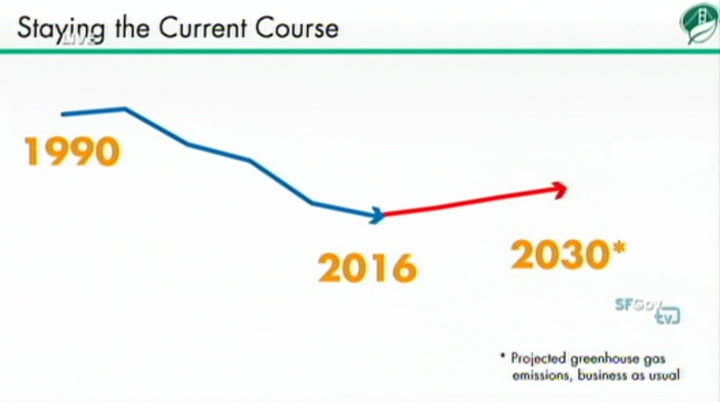 so what this means, we reduce our emissions as much as possible, with that little differential, we pull co2 out of the air. how are we doing? 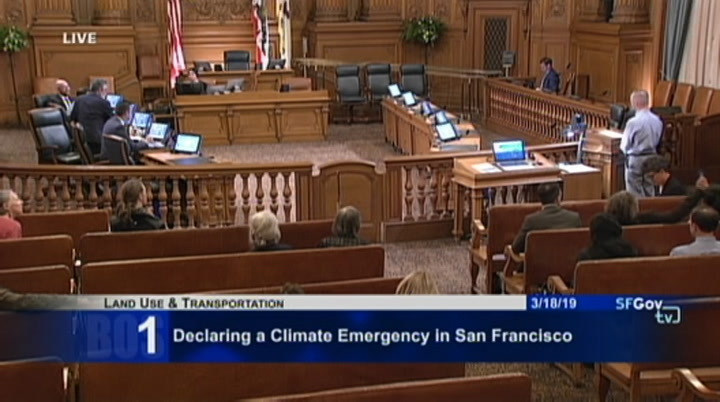 we are ahead of schedule, so this is kudos to san franciscans, the business community, the faith community, the government, the residents. we have been doing a lot. we have not been sitting and waiting for the end of the earth. we have been implementing programs and paying attention. 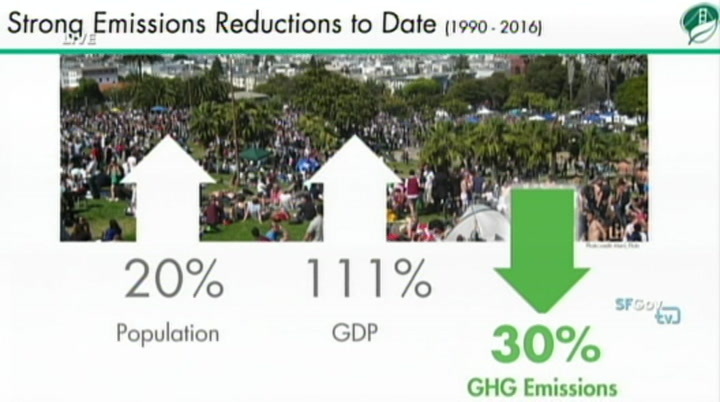 so since 1990-2016, we've reduced our emissions by 30%, all the while our population has grown and our economy has grown. 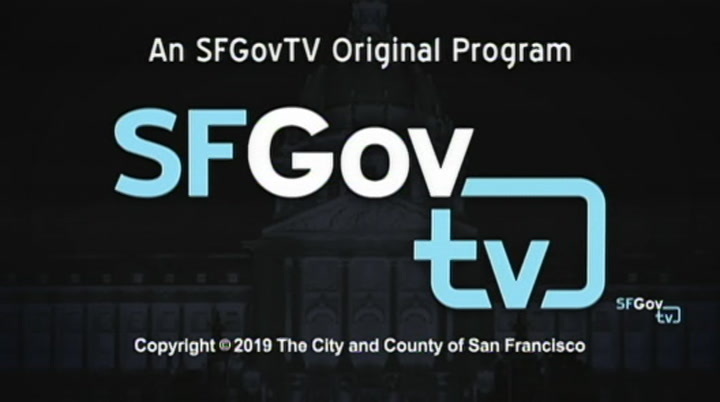 but as we all know, that is not sufficient, that is not going to get us to where we need to go, and in fact, the future's a little challenging because san francisco is set to grow. the whole bay area, according to the city planners and the regional planners predicts that the bay area will go by 20% by 2040.
city agencies, with our community members, with our businesses, because we've god to make sure we're ready for the changes that are coming to us through our resilience and adaptation work as well as reducing the amount of carbon that's emitted into the atmosphere. so the dates at the bottom are rough, but that is the path ahead. and we do all that planning and all that engaging while we are making change, while we are committed to action. 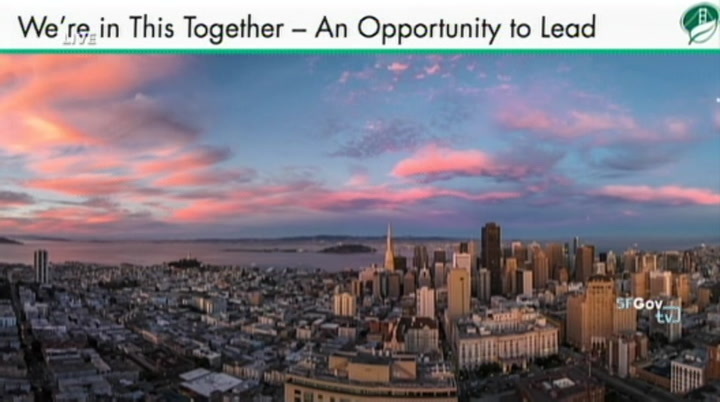 because ultimately, we are in this together. 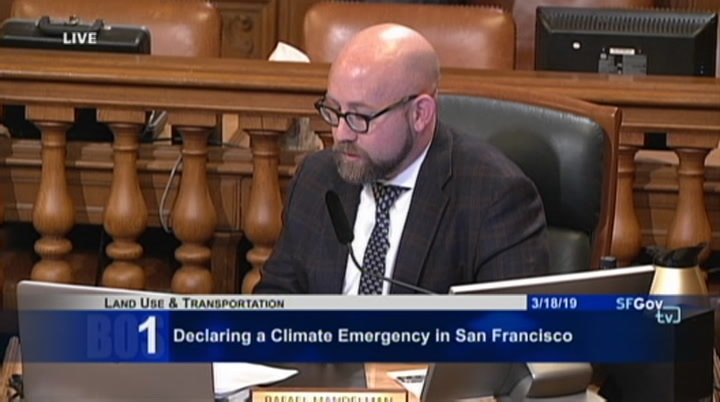 cities represent 70% of the emissions that are going into the atmosphere today, so san francisco has an opportunity, an obligation to lead my example. this emergency is of our making, therefore, it is incumbent upon us to do something about it. 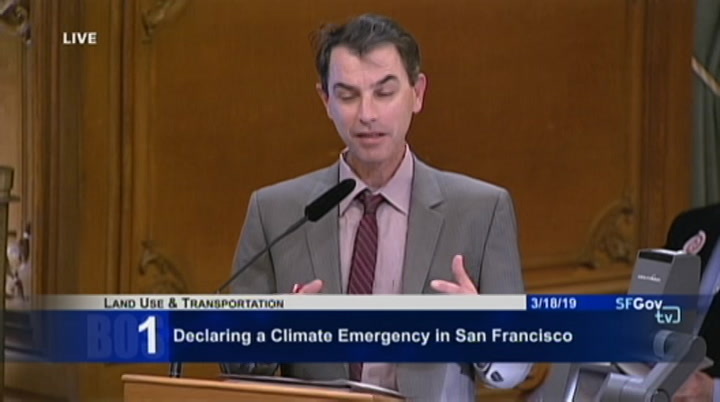 the department of the environment is ready and poised to work with our city agencies, with you as the elected officials, with our community members and our businesses to find the right ways and the bold ways to move forward. so thank you, supervisor mandelman, for giving us the opportunity to bring this to people's attentions. it's very important. >> supervisor mandelman: thank you, director raphael. i believe that john scarpulla from the p.u.c. is also here and would like to say something or other. >> good afternoon, supervisors. john scarpulla from the p.u.c. 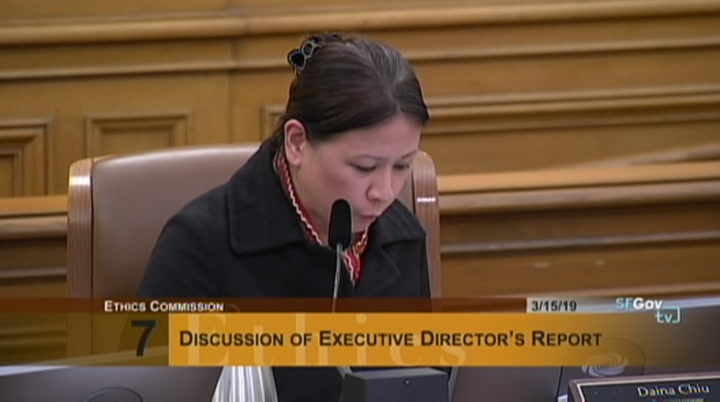 i want to thank supervisor mandelman and all the other supervisors for their leadership on this issue. 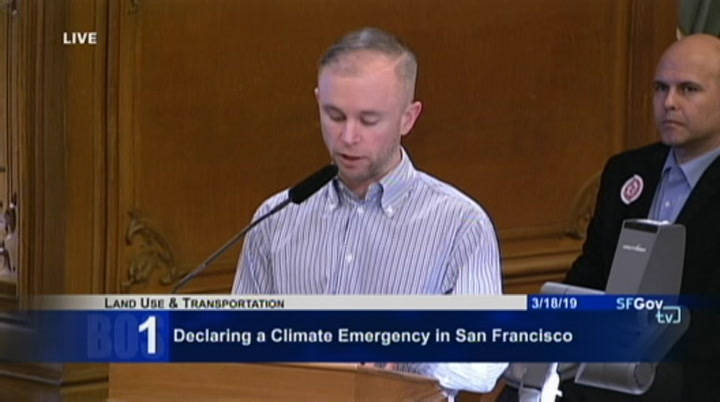 thank you, kyle from supervisor mandelman's office. i want to thank the department of the environment for their collaboration and leadership. 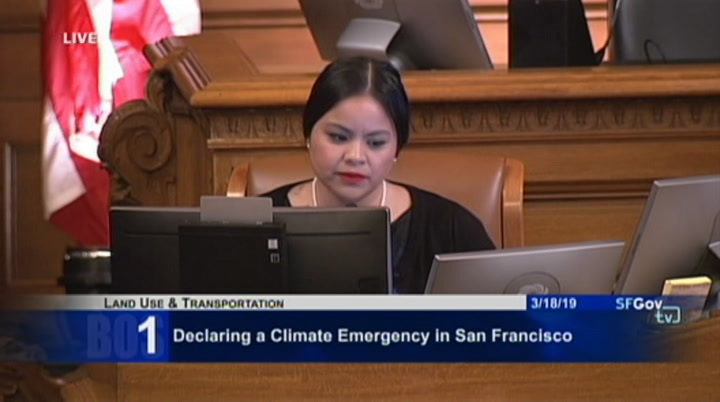 the sfpuc fully supports this resolution and our agency recognizes climate change is an urgent crisis to san francisco. as such, every endeavor that we undertake are directly related to reducing our carbon foot print and prepare for a future that unfortunately looks very different than today. 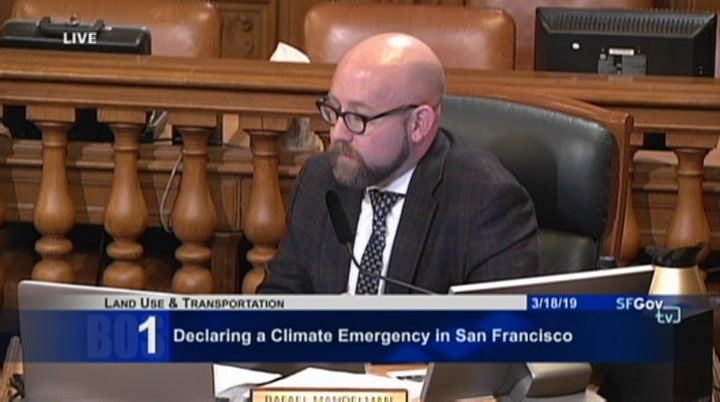 we look forward to collaborating with the mayor's office, the department of environment and other city agencies, not only in preparation of the 100-year report, but to work together to ensure a resilient climate future for all san franciscans. thank you. 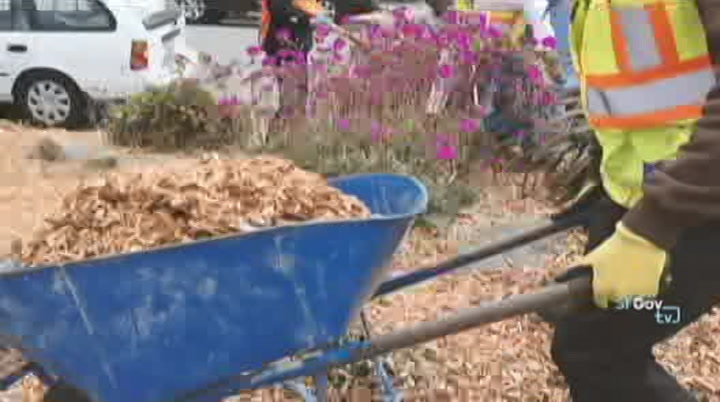 >> supervisor mandelman: thank you, mr. scarpulla. i believe we have a representative from the sfmta. >> good afternoon, supervisors. 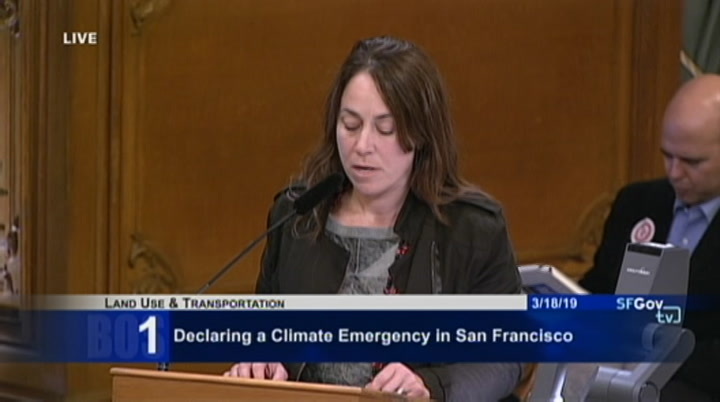 sarah jones from the sfmta. in this global crisis and contribute to knowledge sharing across our borders and jurisdictions. 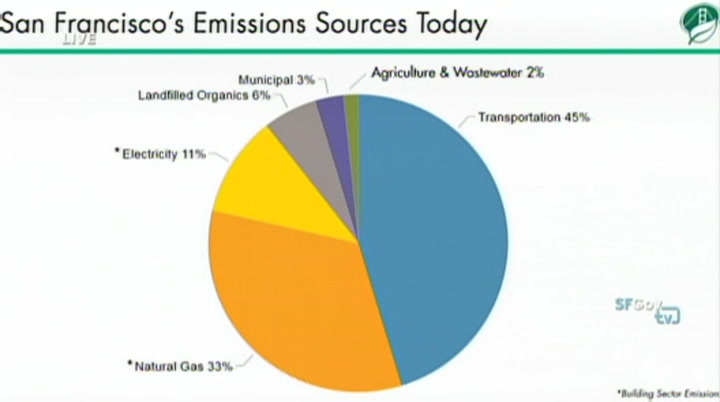 we support these goals and will continue to collaborate on the best ways to achieve meaningful greenhou greenhouse gases and emissions. 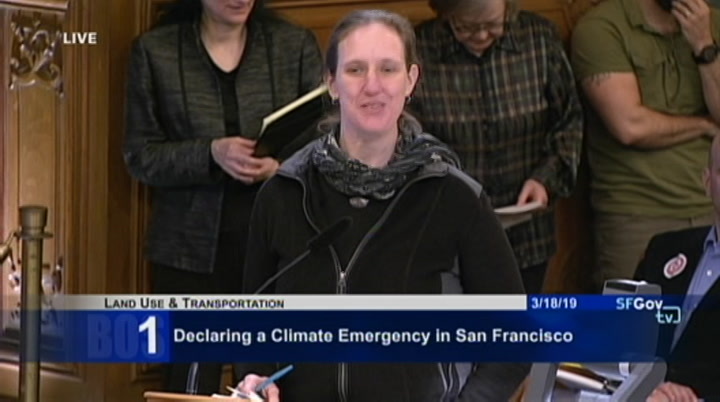 we've been applying our staff resources and knowledge towards these issues and working with our interagency colleagues to foster rich collaboration, and we really appreciate the board's recognition that the climate challenge is too complex for any one agency to tackle alone, and thus necessitate new ways of working together and new ways of allocating city budget. 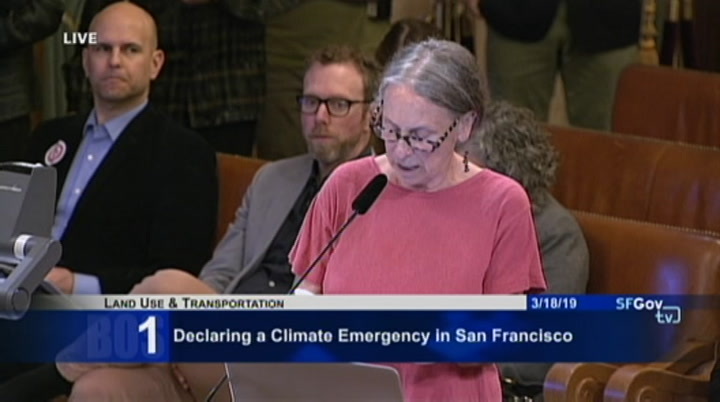 we appreciate the city faces numerous challenges in affordability, congestion, equity, education, and more and that the disproportionate threats of climate change hit our most vulnerable populations the hardest. 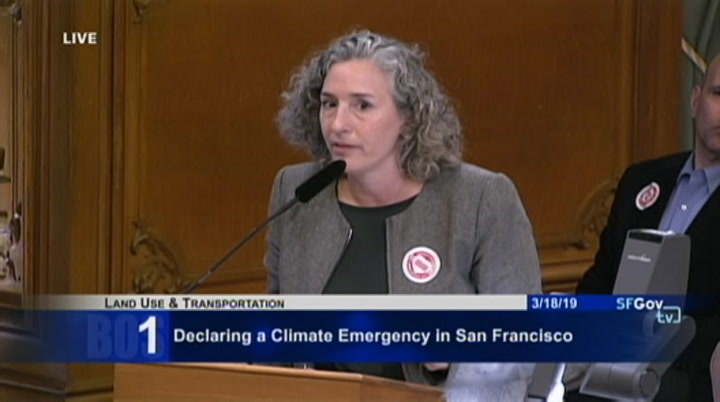 we must future proof us for climate impacts while addressing today's critical issues. it demands we seek synergies, and within that, deliver cobenefits to our neighbors housing, mobility, economic development, parks, school, and infrastructure. 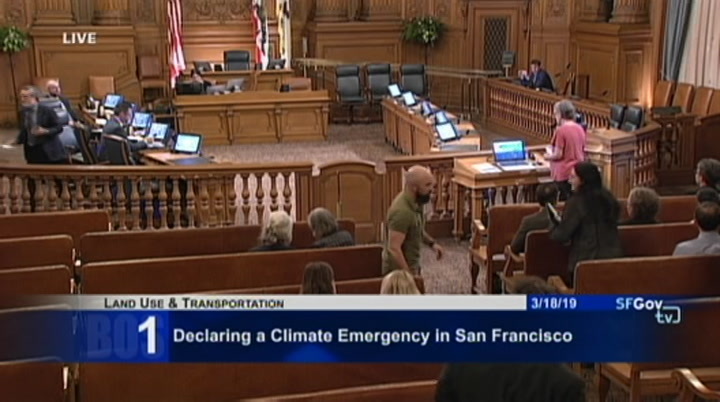 together, we can demonstrate to the citizens of san francisco that the city can develop and implement just and equitiable climate action as part of our civic duty. thank you very much. 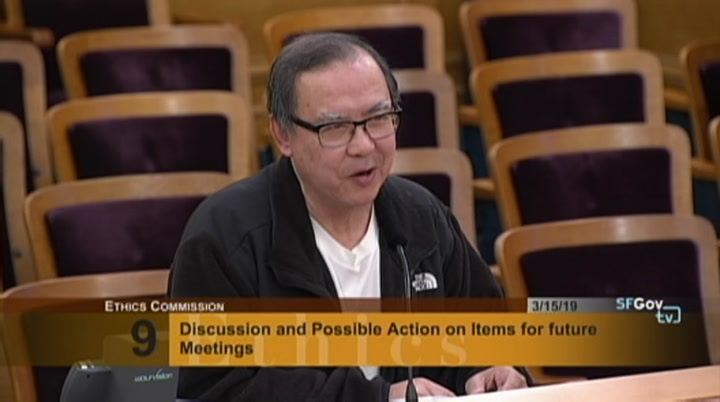 >> supervisor mandelman: thank you. and lastly, we have brian strong from the office of resilience and capital planning. 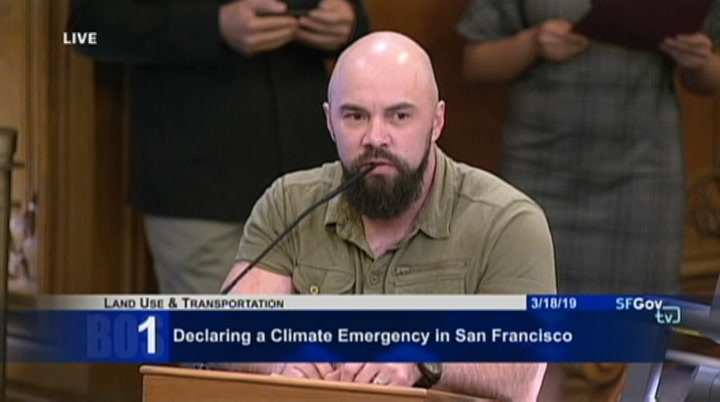 >> good afternoon, committee members of the brian strong, chief resilience officer. thank you very much. 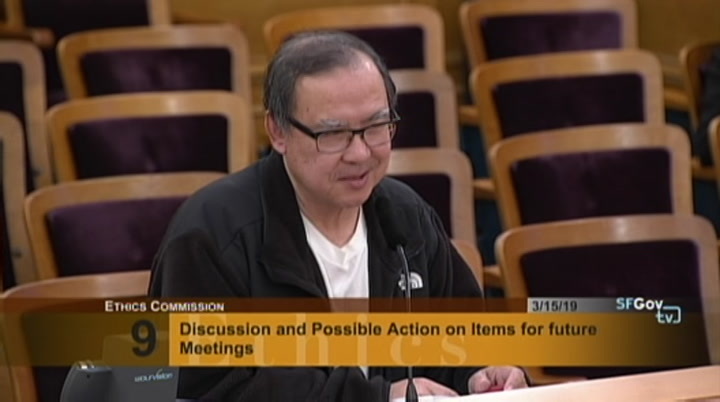 >> supervisor mandelman: thank you. mr. chair and committee, that's all i got. 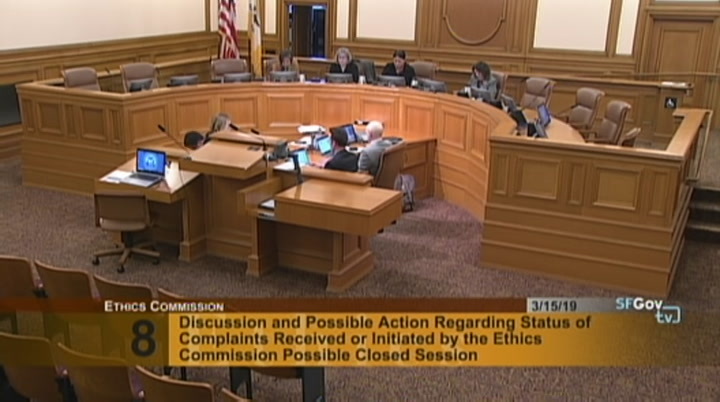 >> chair peskin: okay. so thank you for all of that testimony from the various departments. we have a number of speaker cards here before us. 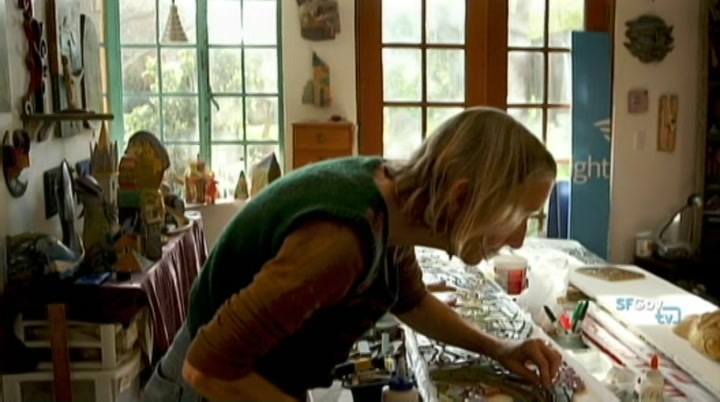 joanie eisen, followed by tracey breiger, susan kerasoff, josh cliff, and sarah greenwald. 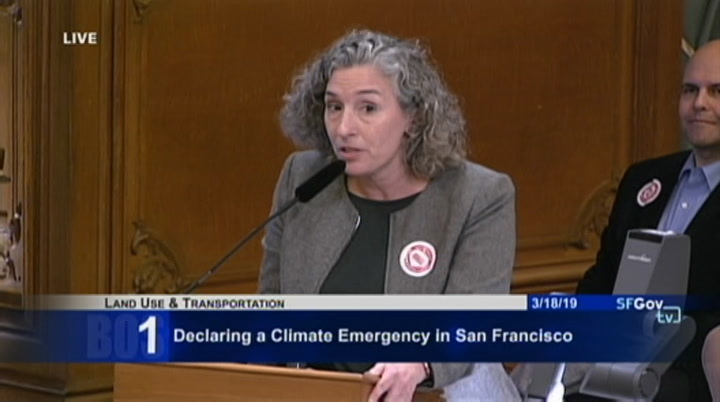 >> i'm joanie eisen from san francisco tomorrow and citizens climate levy. i thank supervisor mandelman, and i'm very encouraged by the strong support from the departments, and thank you, kyle, too? 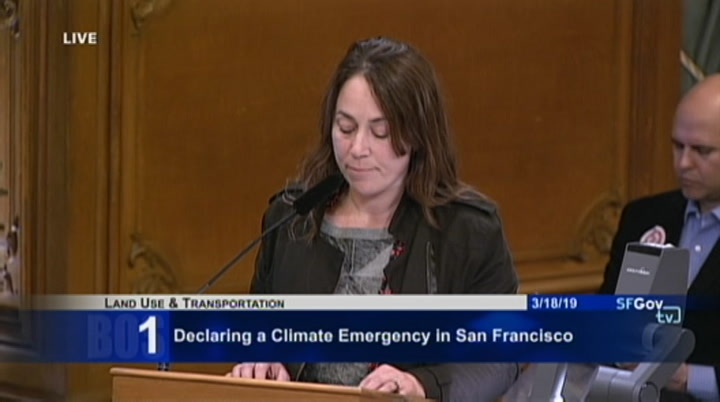 so on behalf of san francisco tomorrow, they are in strong support of this resolution. we've worked with other organizations, and it's an emergency, come on, yeah. we've got to get this going. transportation, wind or solar. the renewable energy revolution won't be any friendly more than the industrial revolution unless we make good neighborhood policies that good union jobs are the foundation of a just transition. 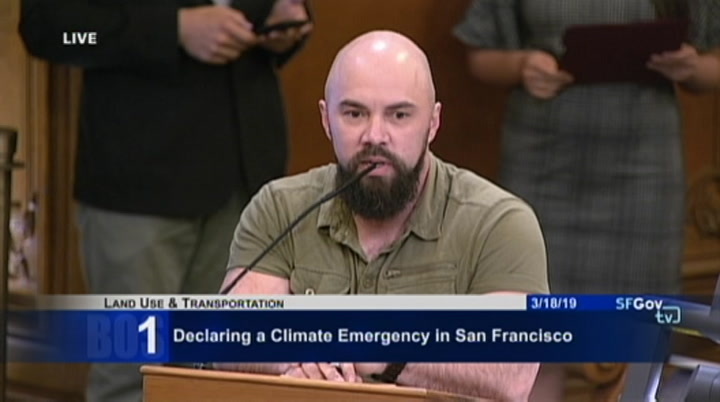 jobs with justice brought forward some suggested amendments that make consulting with and meaningful opportunities for labor and working families a necessary part of the city's response to the climate crisis. they're also absolutely critically important to exacerbate existing social and economic inequalities. so thank you supervisor mandelman and kyle for your help in incorporating these amendments, and we look forward to working together to adjustment climate change to help working families in san francisco.